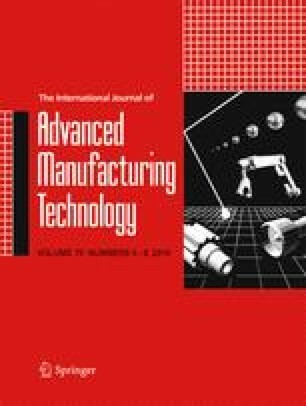 This paper summarizes the results of thermal finite element simulation and experimental studies of tool temperature in ultrasonic-assisted turning (UAT) of aerospace aluminum using multicoated carbide inserts. At first, mathematical models were developed in order to study the effects of tool coating, rake angle, cutting speed, and feed rate on the friction coefficient. Then with respect to the kinematics of the process, the cutting velocity model would be presented. This velocity model is used in combination with the mathematical model to define the friction coefficient during UAT. The mentioned frictional model is used to write a user subroutine to incorporate the effect of friction coefficient as a function of cutting parameters in the finite element program Abaqus. The results of this simulation make it possible to determine cutting temperature patterns accurately. It is also used to study the effect of cutting parameters (cutting speed, feed rate, rake angle, and vibration amplitude) on UAT. Finally, the simulation results are compared with experimental measurements of cutting temperatures from ultrasonic-assisted turning tests. The results show that ultrasonic-assisted turning is able to lower the maximum cutting temperature in cutting tool, about 29 %, in low feed rates (≈0.14 mm/rev), with a vibration amplitude of ≈10 μm and work velocity of ≈0.5 m/s.